Product #5415 | SKU FSW52101 | 0.0 (no ratings yet) Thanks for your rating! 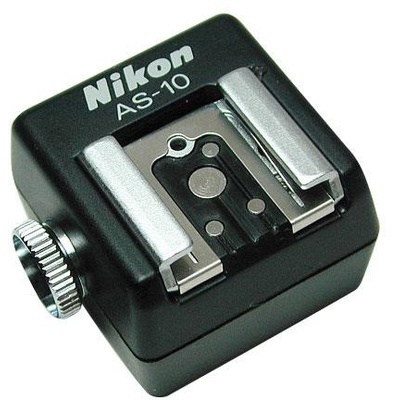 The AS-10 connects to many Speedlites( SB-22S, SB-16B, SB-28 & SB-28DX, SB-50DX, SB-27, etc. ) and can give full TTL flash control to multiple flash units simultaneously. SC-18 or SC-19 Multi-Flash Sync Cords are required. Box Dimensions (LxWxH) 1.5 x 1.4 x 1.4"